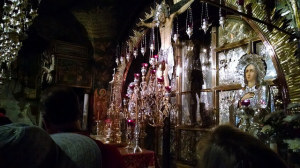 I thought I’d share some photos of my trip since you haven’t seen any of them yet. 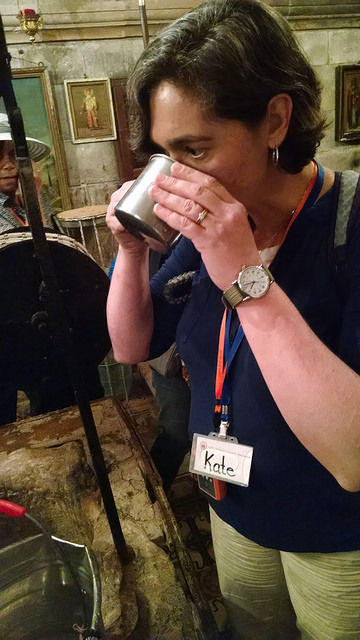 See you in week and have a great Thanksgiving! 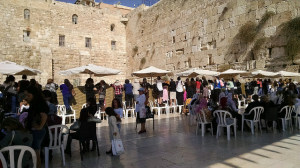 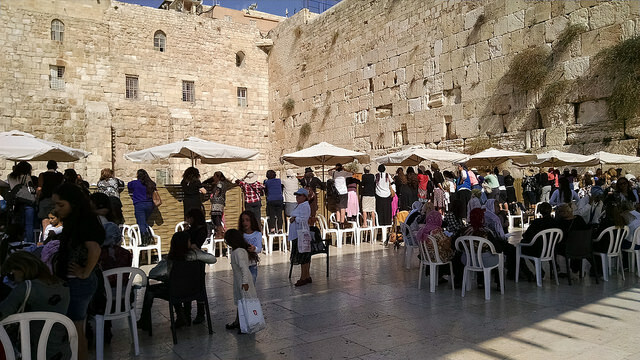 At the Western Wall, women lean over the barrier to the mens’ side to see their sons’ bar mitzvahs. 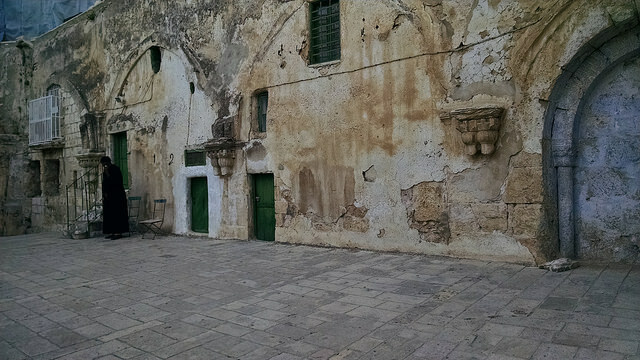 An Ethiopian monk outside his cell in the Old City of Jerusalem. 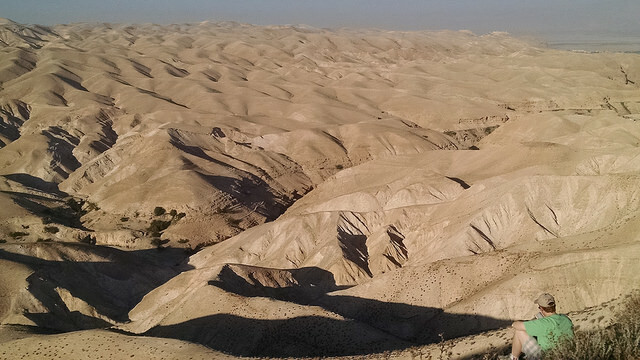 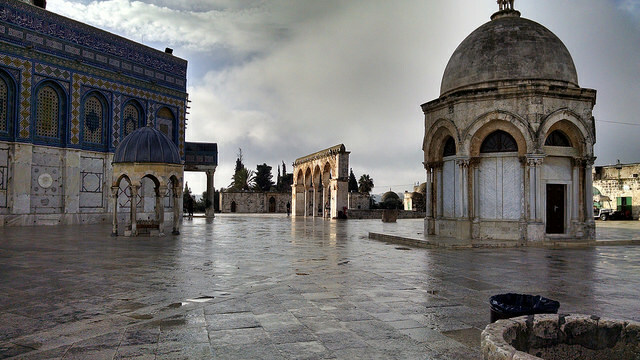 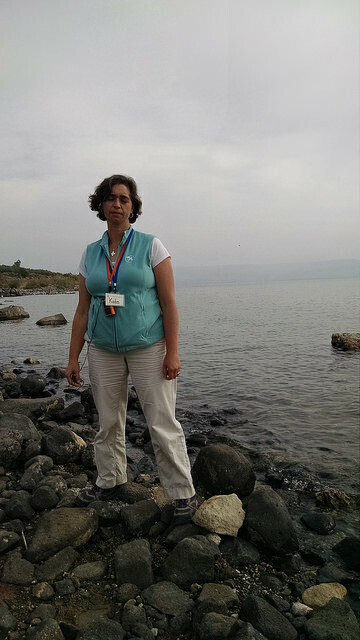 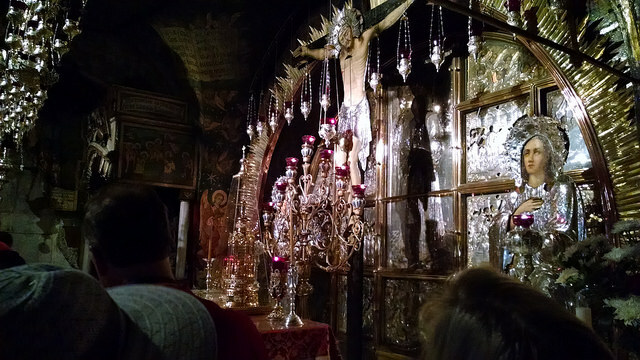 Connie contemplating the Judean Wilderness, where Jesus was tempted. 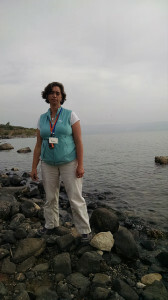 On the Sea of Galilee at Mensa Christi, where the fishing disciples met the risen Jesus (John 21). 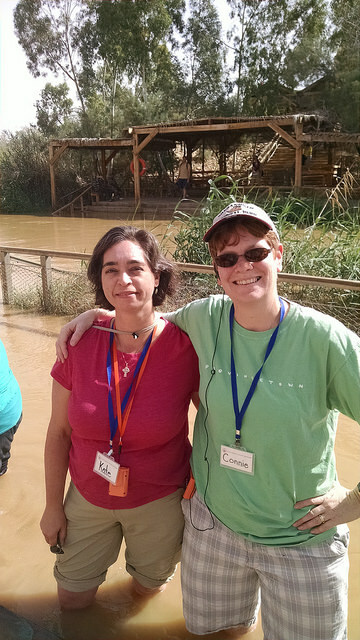 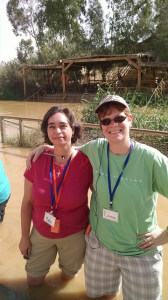 With Connie in the Jordan River, renewing baptismal vows where Jesus was baptized.